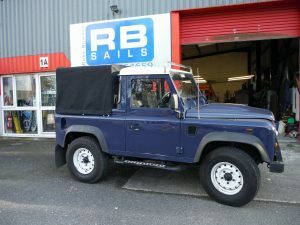 Here is a Land Rover defender Pick up Cover that we made in a Traditional Canvas. It was a very enjoyable little job! 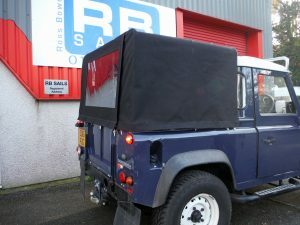 The cover had a zip up and roll up back panel with a large clear window for the dogs to see out! 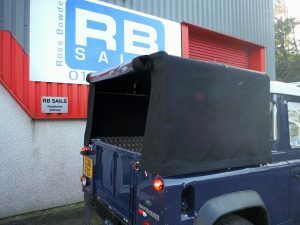 If you have any vehicle cover requirements contact us on 01736 754659.